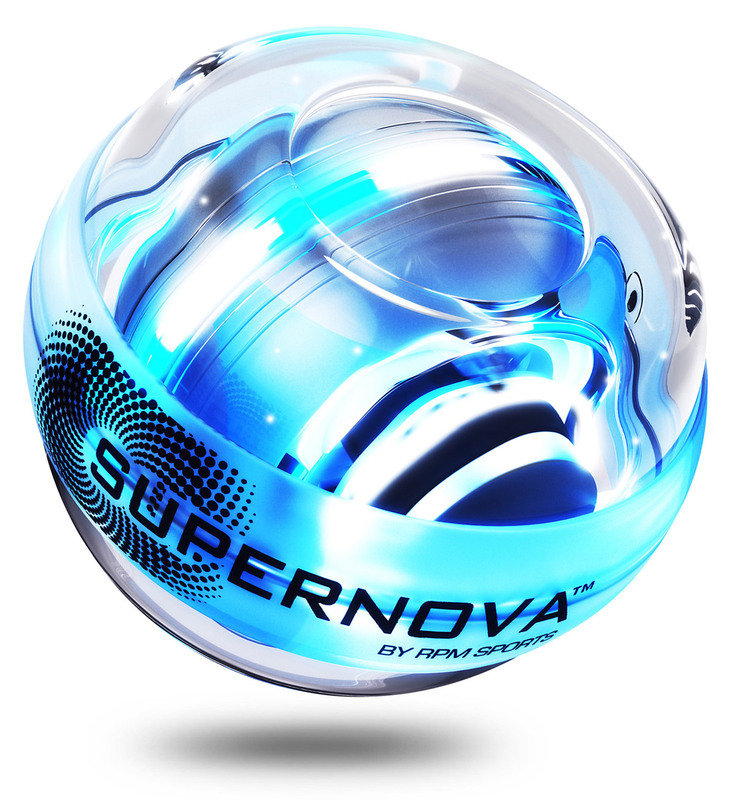 Supernova is a finely engineered, high precision gyroscope consisting of a rapidly spinning zinc rotor encased in a solid outer sphere. The faster the inner rotor spins, the more force/resistance it generates. 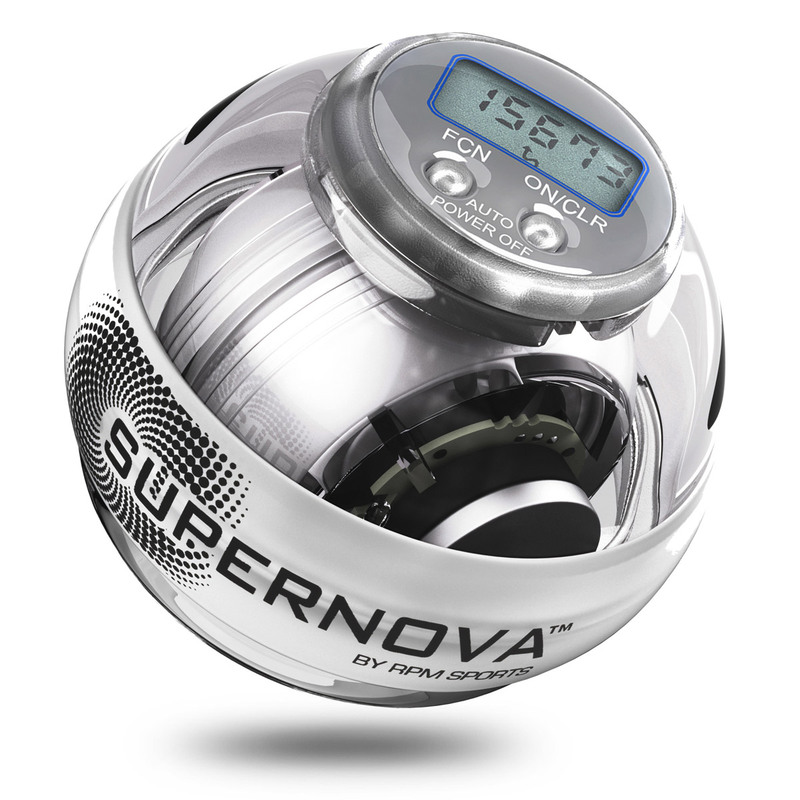 There are no batteries or motor in Supernova; your wrist & forearm does all the work here, driving enriched blood flow and strengthening the entire kinetic chain of the arm from finger tip to shoulder. 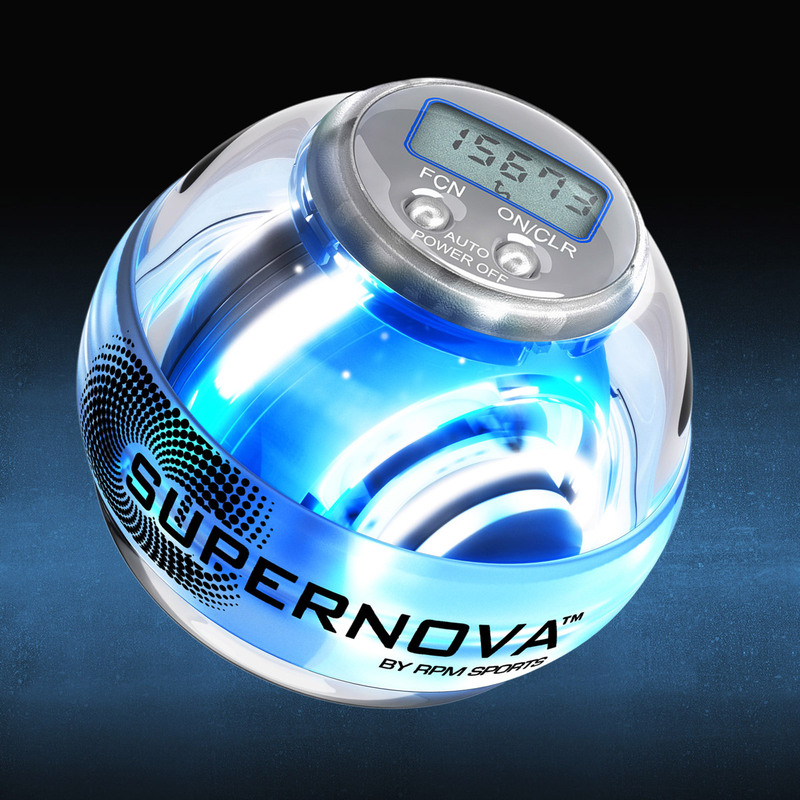 Spin Supernova fast for 60 seconds and you’ll build rapid grip, wrist and forearm strength with up to 35lbs of focused isometric resistance helping bring significant benefit to sports such as golf, tennis, baseball, climbing, cycling & martial arts. 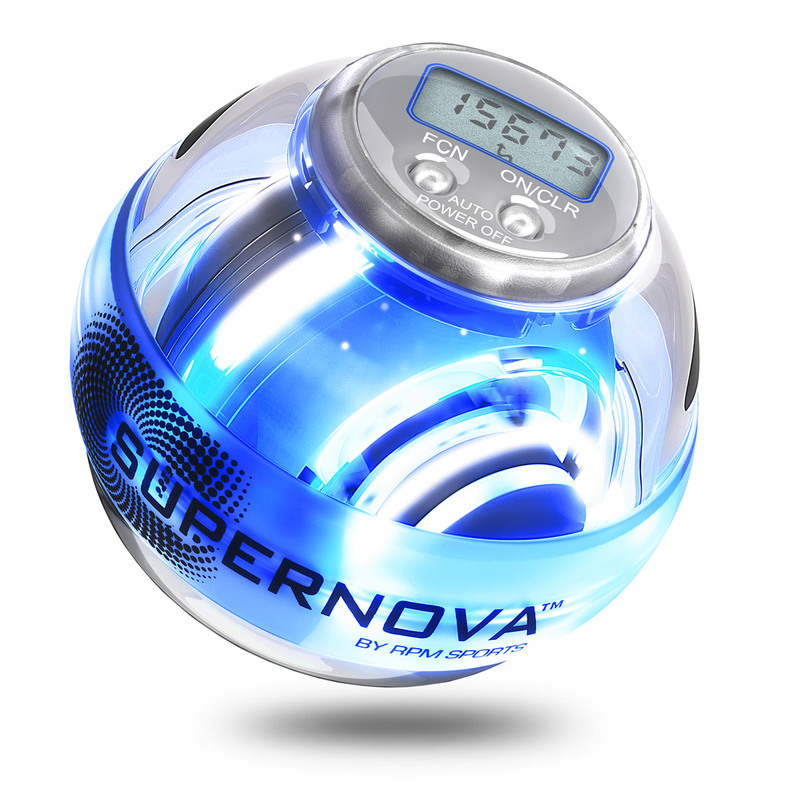 Spin slowly and Supernova’s gentle non-impact resistance at low speeds drives collagen healing nutrients and oxygen enriched blood flow right throughout the arm to gently rehab upper limb conditions like carpal tunnel syndrome, tennis elbow and to help strengthen broken bones. 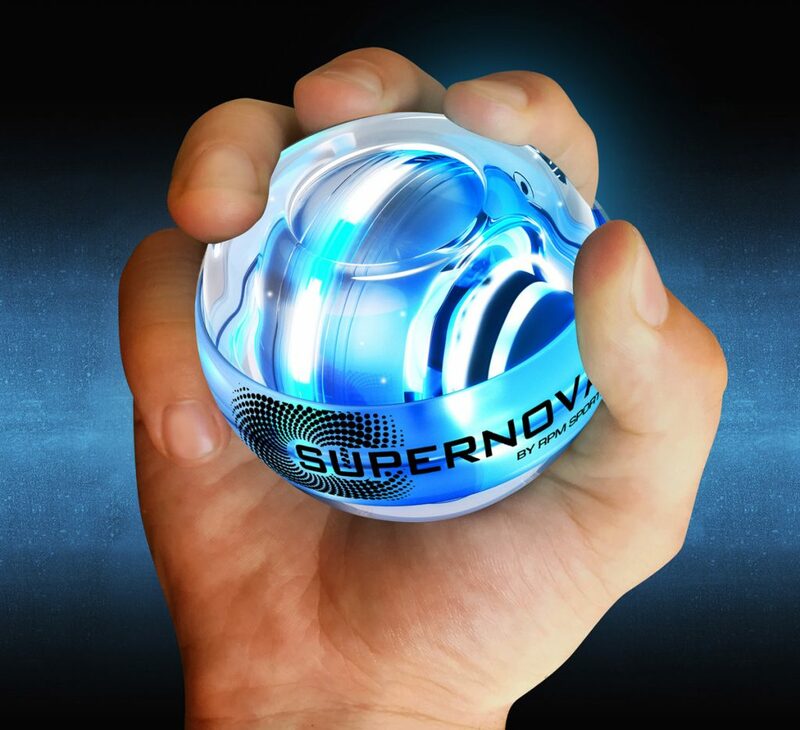 Muscle endurance and strength in the hands and fingers is also improved, contributing to greater play dexterity and precision for instruments like guitar, piano and drums.